The timing of Sveconorwegian high-grade metamorphism is evaluated in the four lithotectonic units / terranes exposed in the Sveconorwegian belt in South Norway. U-Pb, Th-Pb and Re-Os data were obtained from 21 samples of Mesoproterozoic ortho- and paragneisses. In the Bamble Terrane, SIMS monazite U-Pb data constrain peak amphibolite- to granulite-facies metamorphism between 1137 ±1 and 1127 ±6 Ma, and unroofing at 1107 ±9 Ma. In the Kongsberg Terrane, a molybdenite Re-Os date at 1112 ±4 Ma and a monazite U-Pb date at 1092 ±1 Ma bracket amphibolite-facies metamorphism. In the Idefjorden Terrane, west of the Oslo rift, a pulse of Gothian metamorphism at 1539 ±8 Ma and three pulses of Sveconorwegian metamorphism at 1091 ±18 Ma, 1052 ±4 to 1043 ±8 Ma and 1024 ±9 Ma are recorded by monazite, zircon and titanite data. Amphibolitefacies metamorphism peaked at 1052 ±4 Ma in the kyanite field (1.00-1.17 GPa, 688-780 °C). At the boundary between the Idefjorden and Telemarkia Terranes, SIMS zircon U-Pb data constrain amphibolite-facies metamorphism between 1012 ±7 and 1008 ±14 Ma and provide a maximum age for shearing along the Vardefjell Shear Zone between these two terranes. Amphibolite-facies metamorphism in the Telemarkia hanging wall of the Vardefjell Shear Zone is coeval at 1014 ±1 Ma. 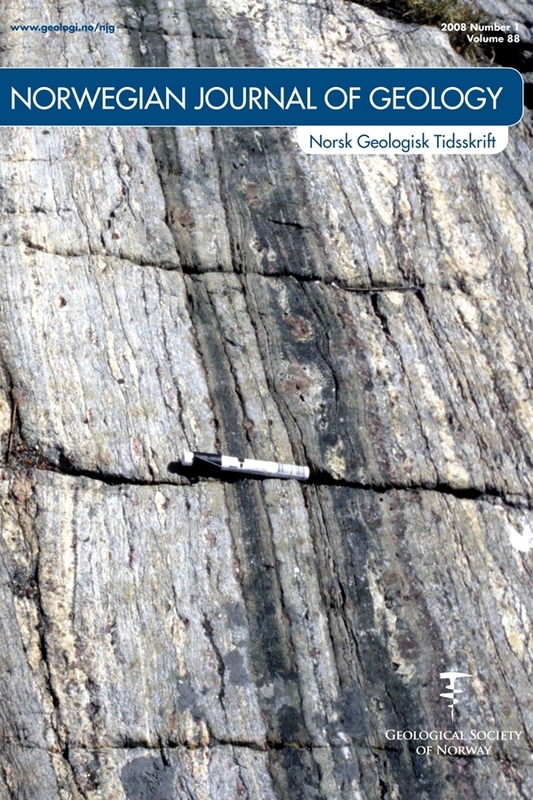 In the Suldal Sector of the Telemarkia Terrane, monazite data yield an age of 1005 ±7 Ma for amphibolite-facies migmatitization. In the Rogaland-Vest Agder Sector of the Telemarkia Terrane, paired U-Pb and Th-Pb ID-TIMS monazite analyses date monazite growth to have been between 1013 ±5 and 980 ±5 Ma during M1 intermediate-pressure regional metamorphism, and between 927 ±5 and 922 ±5 Ma during M2 low-pressure high- to ultrahigh-temperature metamorphism. SIMS monazite dates at 1032 ±5 and 990 ±8 Ma in a granulite, situated outside the area affected by M2 metamorphism, demonstrate granulite-facies conditions during M1 metamorphism. Available data show that the four terranes in South Norway have distinct metamorphic histories. The Bamble and Kongsberg Terranes show evidence for early-Sveconorwegian metamorphism between 1140 and 1080 Ma. The Idefjorden Terrane, though locally affected by this early metamorphism, was mainly reworked by medium to high-pressure metamorphism between 1050 and 1025 Ma. The Telemarkia Terrane was reworked later between c. 1035 and 970 Ma. A high-temperature metamorphic phase at 930-920 Ma is specific for the Telemarkia Terrane and is related to post-collisional intrusion of the Rogaland anorthosite-mangerite-charnockite (AMC) Complex.